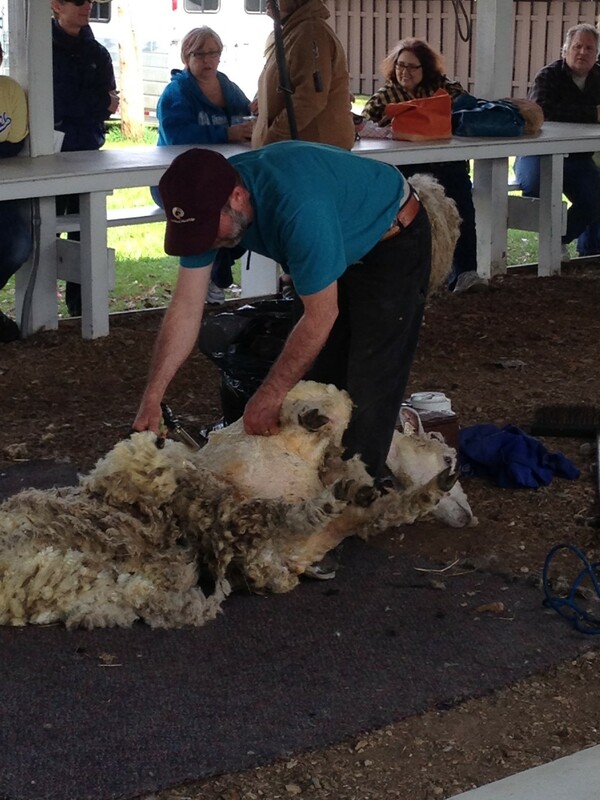 You have to admire an expert sheep shearer who knows exactly what he’s doing. Firm but gentle, so nobody gets excited. 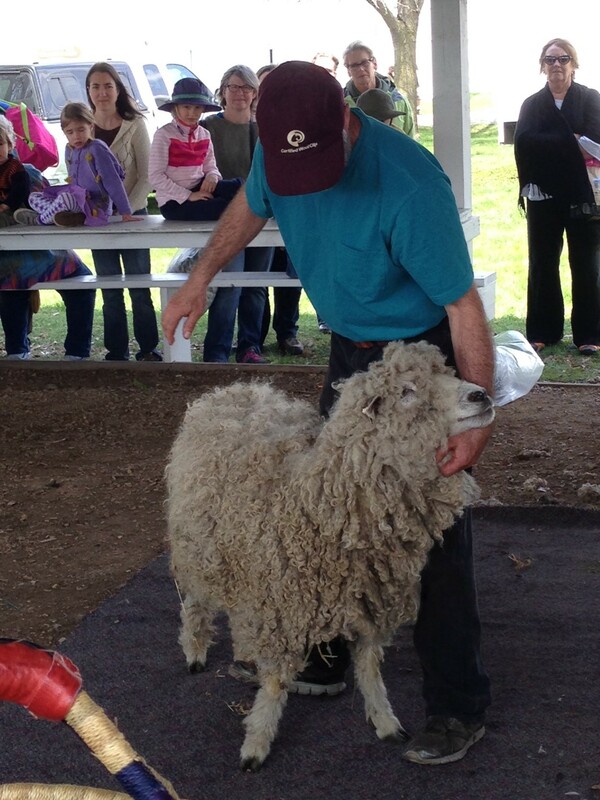 I think this sheep was more anxious about her audience than she was about being sheared. 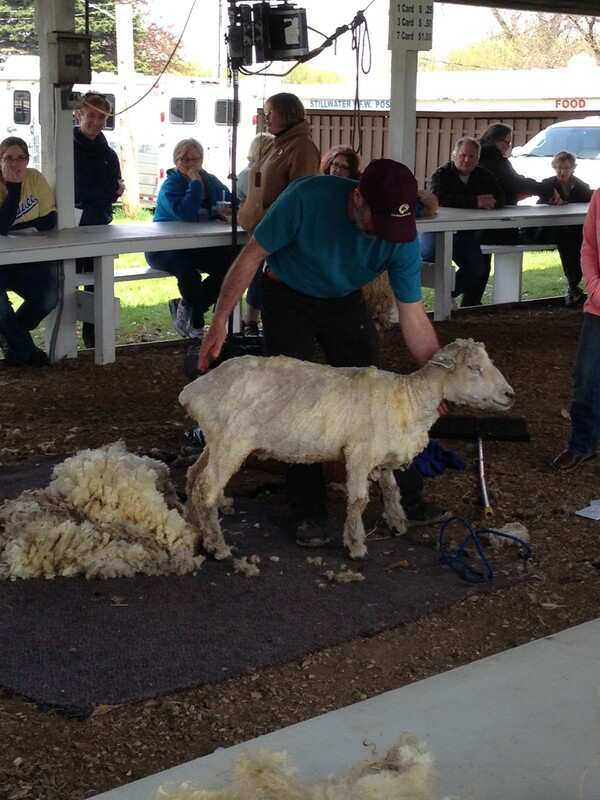 It’s amazing to me how little of the sheep’s skin/hide seems to get a pass from the clippers. 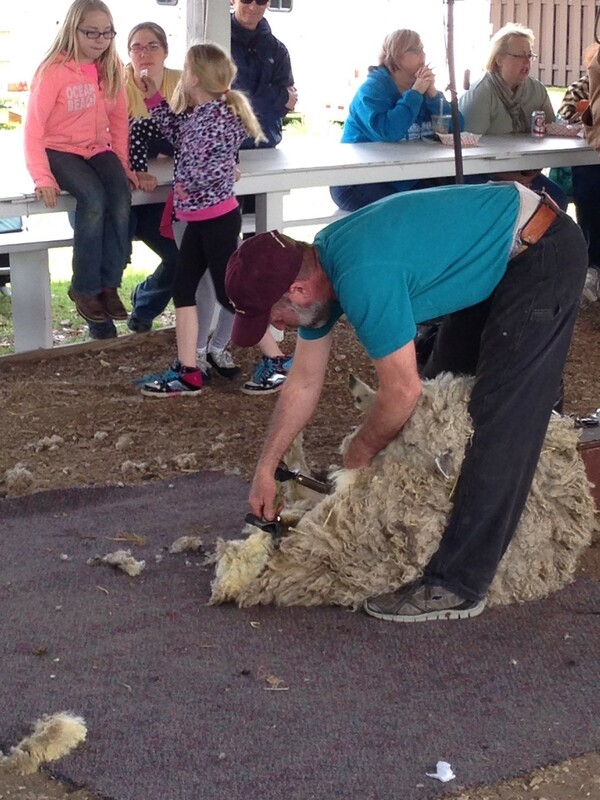 It’s probably my imagination, but watching the shearer, it looks as though he knows where all the sheep’s hidden zippers are. Make a pass here, a pass there, and voila! 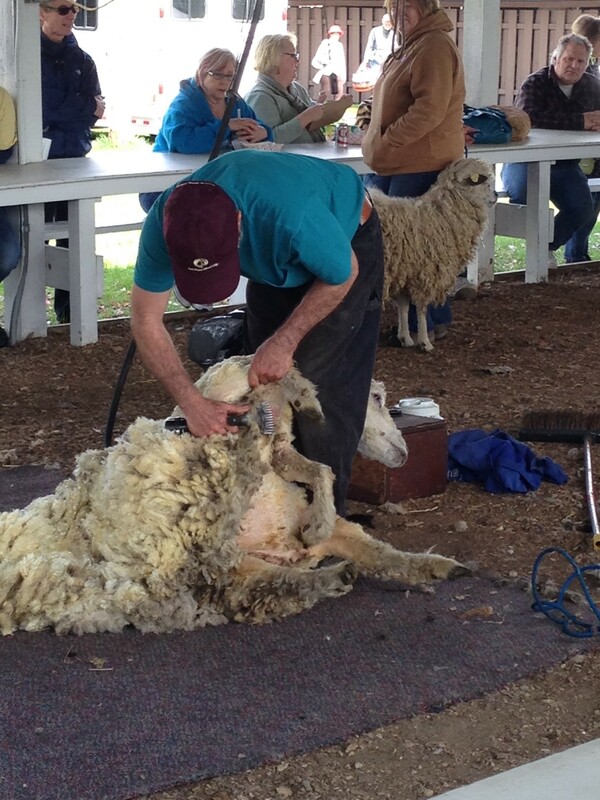 Naked sheep. Ready to go Boundin’. My daughter had a field trip once in serving grade to a ranch up north. 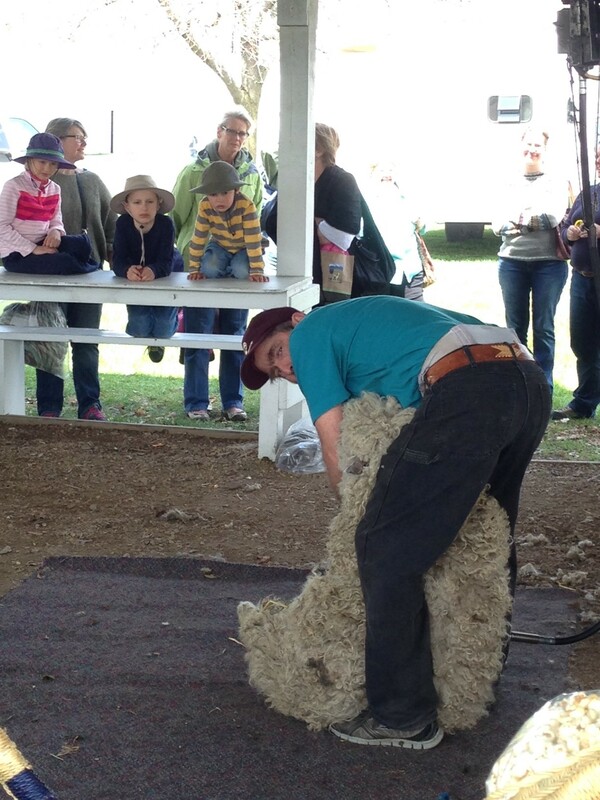 There were sheep and we were told the shearer only had so much time before the sheep would struggle. It does get to be an amazingly fast process. Fascinating to watch. Totally. Like a barnyard ballet.